Europe was not, and still is not, ready for the level of consolidation that the Greek Finance Minister suggested. On the other hand, Varoufakis was not ready to compromise his ideas either. Yanis Varoufakis at a meeting with Wolfgang Schäuble, February, 2015.Wikicommons/Jörg Rüger.All rights reserved. 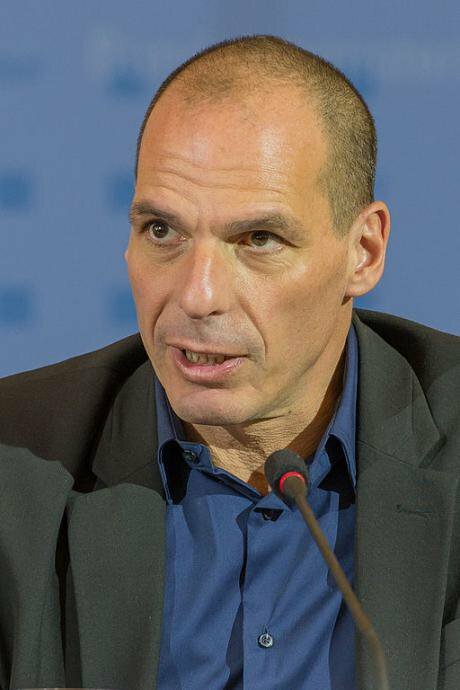 Yanis Varoufakis is the architect of the current negotiating strategy of Greece. As he usually says when he tries to explain things: “It is very simple”. Greece’s negotiating strategy is based on the dogma that when push comes to shove, the other side will retreat. Why? Because the other side, meaning Europe, has a lot to lose. His estimate is around 1 trillion euros. During the past five months, Varoufakis did not seem to adhere to popular win-win prescriptions of negotiation theory that call for mutual accommodation of interests. Although Greece’s and Europe’s interests are almost completely aligned, he always disagreed with the ways in which European partners suggested that Greece could escape the difficult economic debt crisis it found itself in, in early 2010. Instead of austerity measures that were imposed, he always favored a more “European” solution that required central management of EU debt and EU investment funds. Europe was not, and still is not, ready for the level of consolidation that the Greek Finance Minister suggested. On the other hand, Varoufakis was not ready to compromise his ideas either. He insisted on lecturing other EU member state Finance Ministers that the vision of a unified Europe could only be accomplished though his ideas. This tactic was all the more paradoxical, if you take into account that back home, in Greece, the divisive rhetoric of Prime Minister Alexis Tsipras was focused on national resistance against Germany, Chancellor Angela Merkel and Finance Minister Wolfgang Schäuble. The ugliest moments of this rhetoric were the many insinuations about Germany’s Nazi past, which have only fueled the division between Greece and Germany. Varoufakis is definitely not a person who seeks compromise. He wants all or nothing. He immersed himself in the nationalist rhetoric of national pride. He talked about his commitment to the Greek electorate vote. He tried to convince Europe that he would never back down. He even tried using the I-am-crazy card. All of this was declared with one objective in mind: to show that Greeks really mean what they say. They prefer to go bankrupt, even return to the drachma, than accept austerity measures. Of course Greek voters do not want to leave the euro. They were never informed of the difference between austerity and fiscal stimulus policies measures. They were never offered an alternative viable economic programme by the current Greek government. Instead, they were falsely led to believe that the source of Greek woes was Germany and Angela Merkel, even though the IMF and Europe simply stepped in to help Greece after its debt crisis. Therefore, in the eyes of the Greek voters, Europe imposed poverty on Greece and it was up to Europe to alleviate their pain. Much can be said about the mistakes of Europe and the IMF on the terms of the economic bailout. But Varoufakis did not want to change some of the terms; he wanted to change the whole structure of Europe. He further knew that he could not negotiate his way through such changes. What he needed was a strong shock. There was only only one shock that Greece could inflict, the economic shock of Greece defaulting on its loans. This was planned right from the beginning. Varoufakis had already decided that Greece is economically done for. He thus never hesitated to engage in a negotiation that completely undermined any prospect of the economy growing out of the difficult situation it was in. He kept driving the economy into a brick wall. Indeed, last Tuesday, Greece failed to make its IMF payment, making it one of the few countries in the world that have ever failed to do so. It has often been said that Yanis Varoufakis was playing a chicken game. Well, he was. He brought Greece to the brink of disaster, thinking that Europe would be forced to retreat or accept disintegration. We are now a few moments before the final collision. Greek banks are closed and there is a clear mandate of the Greek people, through last Sunday's referendum, that they will not back down. Varoufakis is still hoping that Europe will retreat instead, even though the Prime Minister removed him from the driving seat. Varoufakis’s dogma is still intact: The more bankrupt Greece is, the greater its negotiating power. No real change of negotiating strategy, just a change of driver. If a collision finally occurs, Varoufakis will not be first in the receiving line.